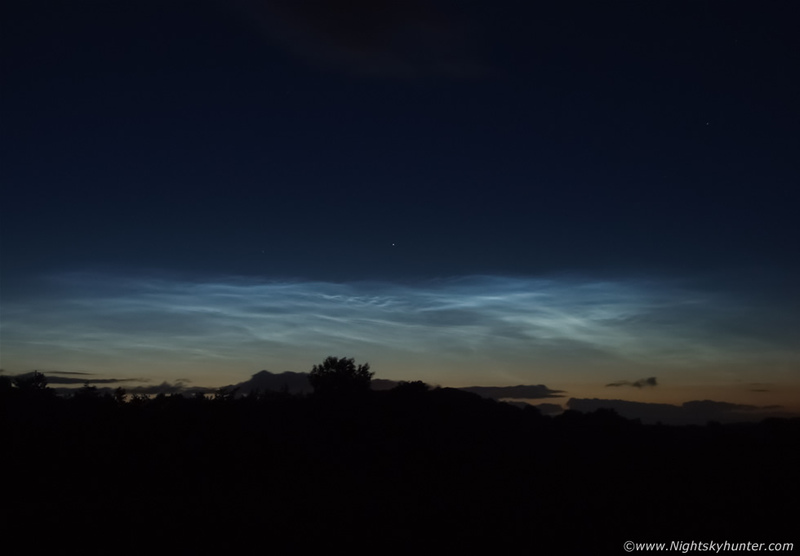 Angelic Noctilucent Clouds over Maghera on the night of June 19th 2008 glowing below Capella on a memorable mild Summer's night near my home. On show are type IIa and IIb bands, veil, small knots, lacunosus holes and small to medium scale whirls. I captured this image using my old Fujifilm S6500FD bridge camera. * All images are available for sale in the form of photo prints, canvas or digital files for licensing, if you are interested in a purchase simply drop me an email.